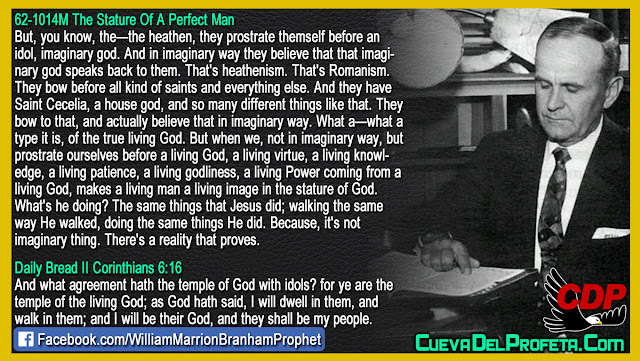 But, you know, the—the heathen, they prostrate themself before an idol, imaginary god. And in imaginary way they believe that that imaginary god speaks back to them. That's heathenism. That's Romanism. They bow before all kind of saints and everything else. And they have Saint Cecelia, a house god, and so many different things like that. They bow to that, and actually believe that in imaginary way. What a—what a type it is, of the true living God. 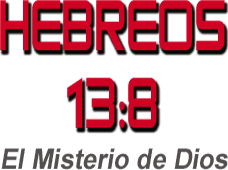 But when we, not in imaginary way, but prostrate ourselves before a living God, a living virtue, a living knowledge, a living patience, a living godliness, a living Power coming from a living God, makes a living man a living image in the stature of God. What's he doing? The same things that Jesus did; walking the same way He walked, doing the same things He did. Because, it's not imaginary thing. There's a reality that proves.